Whether you want a simple one page site, small business sites with content management systems or a large e-commerce site with hundreds of products we have the solution for your business. Your website will be built to your requirements with a design that suits your industry. We have 100's of templates that can be adapted to make the perfect website for you. Free DIY Websites is a which allows you to create professional looking websites quickly and easily, without the need for technical skills. With the help of the ready-made templates & online tutorials, you can have your business online in no time! And if you'd rather we did the work for you, we can help with that too - simply contact us for a no obligation quote. Try before you buy. A no-obligation, extendable 30-day trial will give you immediate access to free tools and free website templates - everything you need to start building your website straightaway. There is absolutely nothing to pay until you are ready to go live - and then all you need to pay for is hosting! There are no set-up fees and no minimum term contracts. Get help with the "look and feel" of the site, we can provide you with a no obligation quote for the extra work. When you want to go live with your website, you will need to pay a monthly website hosting fee from one of the following plans. With every Website you get your very own CMS that is easy to use. Once your site is up and running, you will have online access to manage and change the content of your site (what is on each page and the images you use). This means you can keep your site up to date when and where you choose. It is easy to learn and of course updates are free! Content Management is all about keeping your website up to date on a regular basis. The most common reasons people need a content management system is for Updating news Updating stock pricing and availability Adding / deleting product add /, add/ modify pages However, if you are one of those very busy people who need a bit of a hand to do this, we can take care site updates for you. Of course this service is not free but it pretty affordable and is an option for consideration. Just tell us what you want and simply contact us for a no obligation quote. A domain name is the address of your website, i.e. "www.yourcompany.co.nz". Check if your preferred name is available and purchase it in 3 easy steps. You can register .co.nz, .com, .org, .net, .kiwi.nz and many more. Please Note: Due to the nature of domain names, your first choice may not be available. We will however look for a suitable alternative and confirm this with you before registering it. SEO: The system automatically arranges your content so your pages rank better on search engines. Web statistics give you detailed information on how many people visited your site, what pages they visited & much more. Please note these prices are only a guide. We will confirm the final price before starting work once we have discussed your exact requirements with you. All Prices exclude GST. All packages include fully expandable websites if you want to add extra pages, functionality or products at a later date. Please note that they do not include domain name registration / renewals or monthly hosting, which needs to be paid for separately. Also see Terms below. Do it yourself using our free Content Management System. 30 day, no-obligation trial - try before you buy! Do most of the work yourself and just pay for a bit of extra help to do the more complicated stuff, to "smooth over the rough edges", or for some one-on-one training or any extra service. 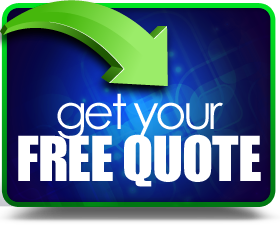 Just tell us what you want and simply contact us for a no obligation quote. One page brochure using one of our templates to get your business online. You will be able to add extra pages yourself at no extra cost. Or we can do it for you at $49/hour for any additional features or updates. Up to 5 pages. Please note the first 5 pages and stated per page price do not include adding of price lists / time tables etc. It includes a block of text + 1 x image per page. If you need anything outside this please contact us for a quote. Starter shopping cart website. Same as Standard Package, but we will also configure a shopping cart including up to 2 payment methods / gateways, up to 2 shipping fees, and up to 3 product categories with 1 simple product (no colour/size etc. options) per category. You will be able to add extra pages /products/ categories yourself at no extra cost. Or we can do it for you at $49/hour for any additional features or updates. Complete shopping cart solution. As per Budget Shop Package, but we will include more of everything - basically we'll do all the work for you. Final price will be dependent on total number of products, product options, categories, etc. For Extra Services work, a minimum of 1 hour must be purchased. All work is payable in advance. Any unused time will expire after 12 months and is non-refundable. At the completion of the first draft stage, you may cancel without incurring further expense. The website will not be made live until we have received payment in full. Our prices include 2 rounds of revisions after the first draft. The term "Revisions" is defined as modification / deletion of existing content (i.e. text / images and things like colours and font size, the order the pages appear in, and other such changes). It does not mean a complete redesign of the website, major changes that affect the look or functionality of the whole site, addition of new content or significant changes to the text or images. Any such major changes to the original design will be considered to be new / additional work that would not have been budgeted for in our initial estimate. Any extra work beyond what is covered by the initial estimate will be charged at our normal hourly rate. No fees are charged without your prior agreement. One-on-one training on updating your website (but we will provide support if you find a hole in our Online Help section). If you would like help with any of the above, please let us know so that we can include it in our estimate. Note: You also agree to be bound by our Terms and Conditions.